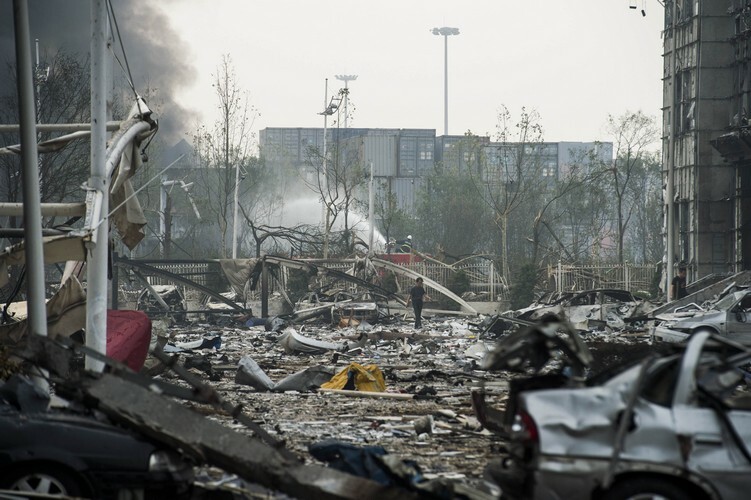 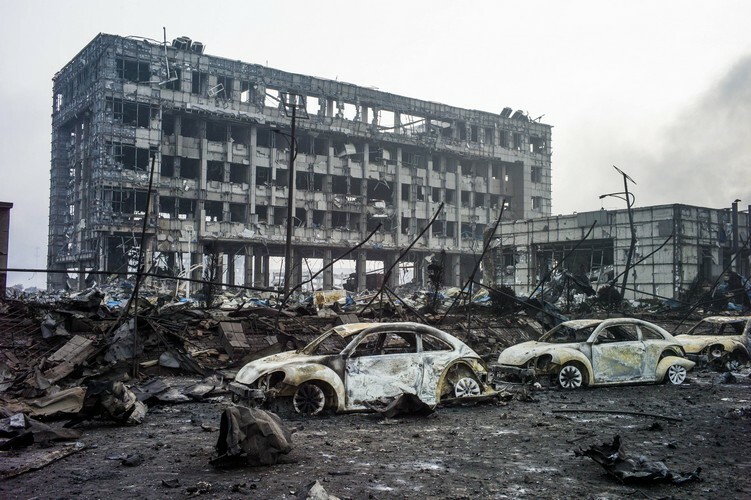 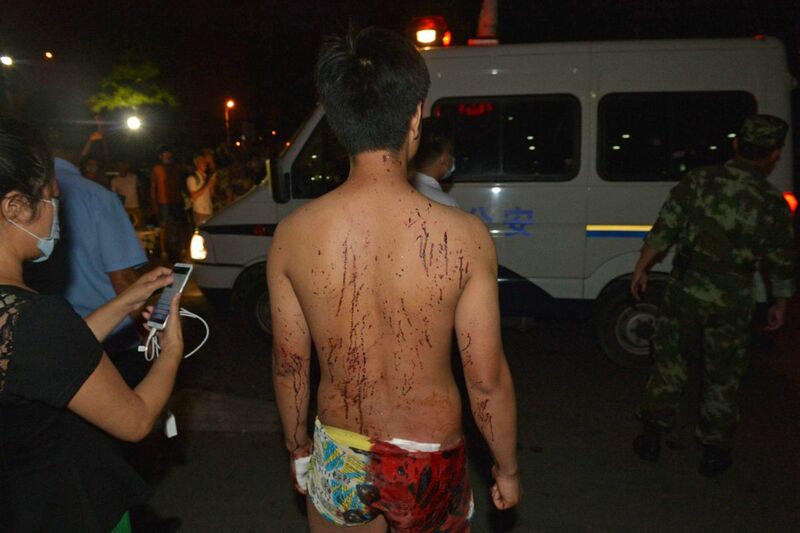 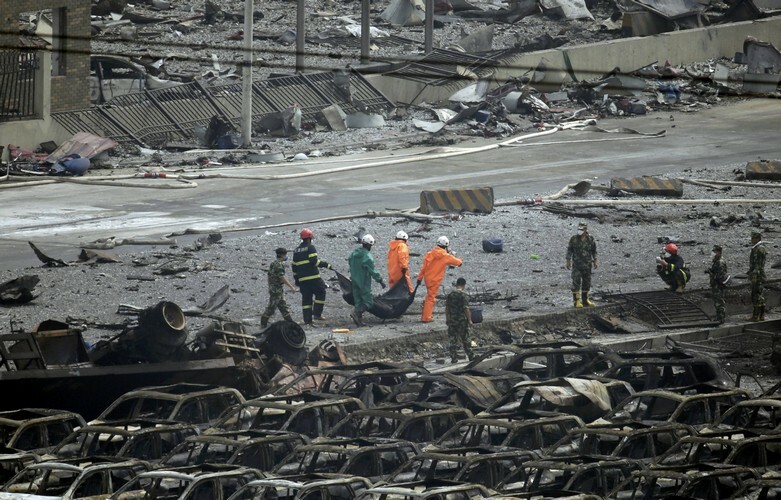 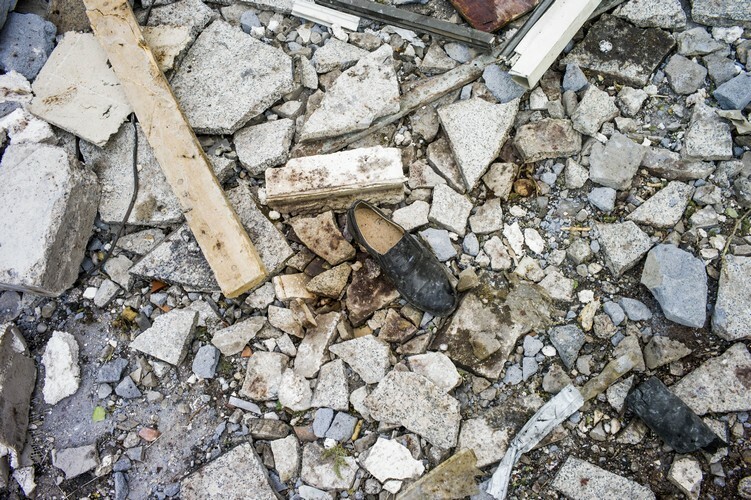 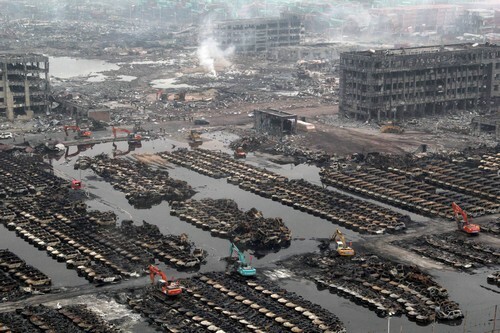 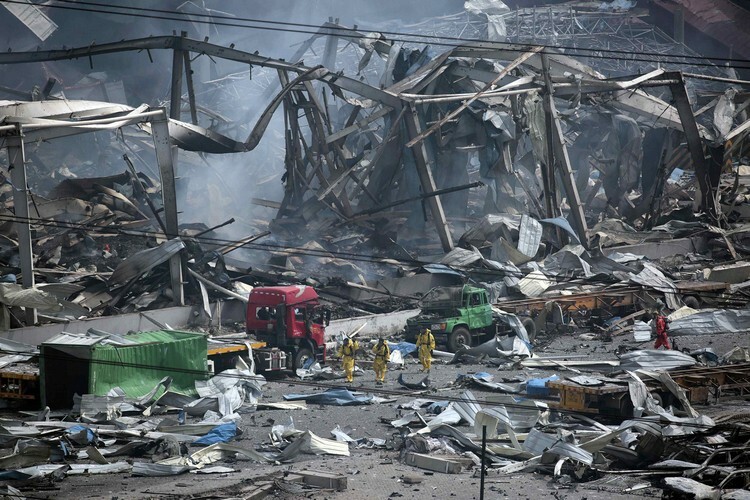 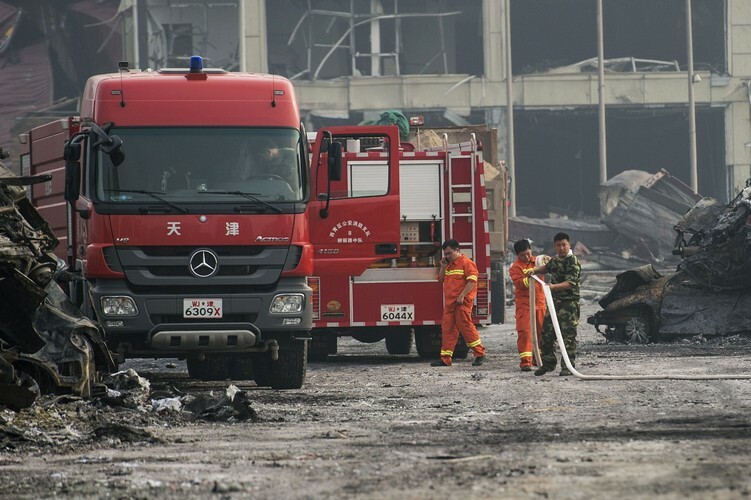 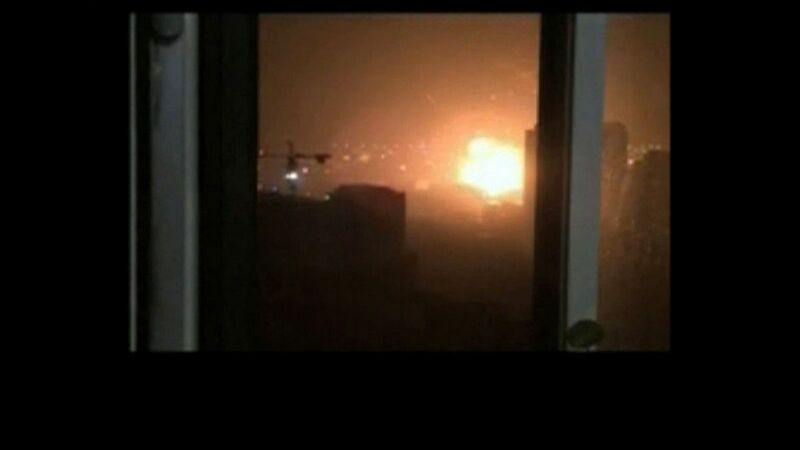 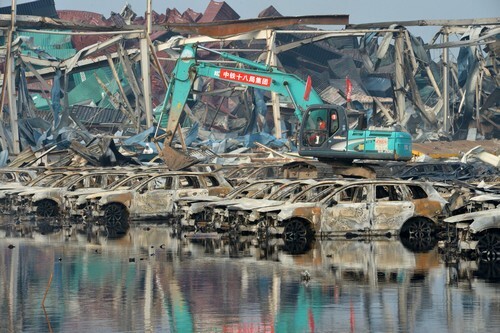 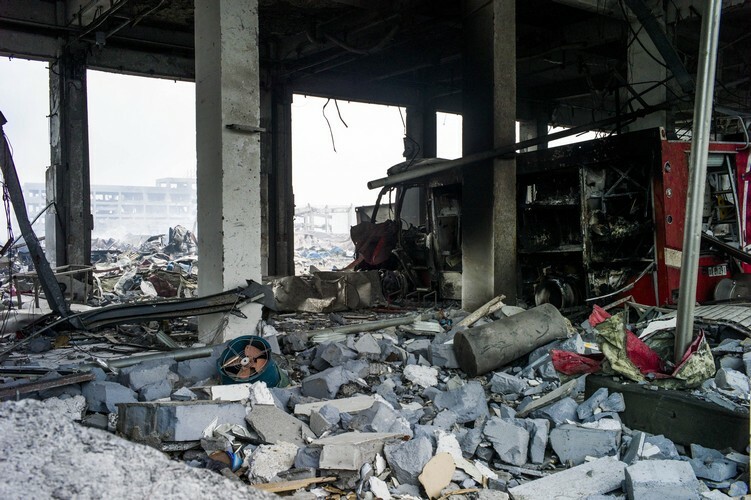 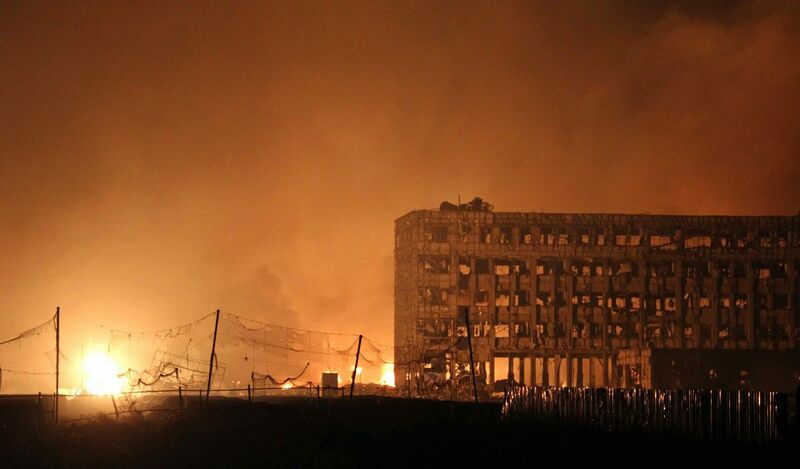 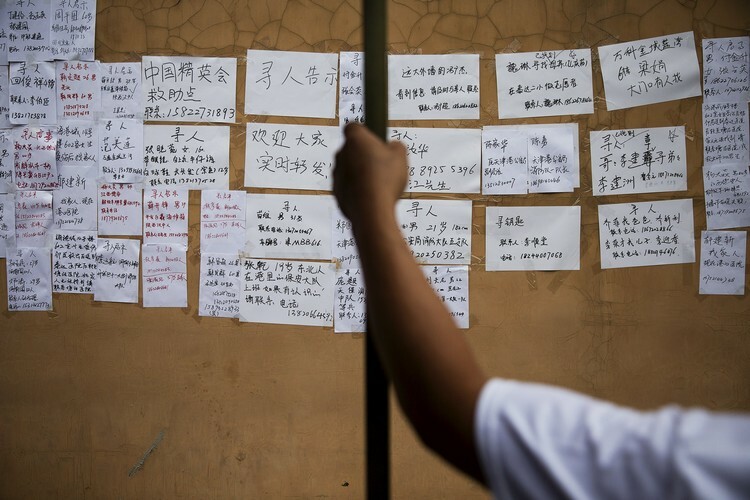 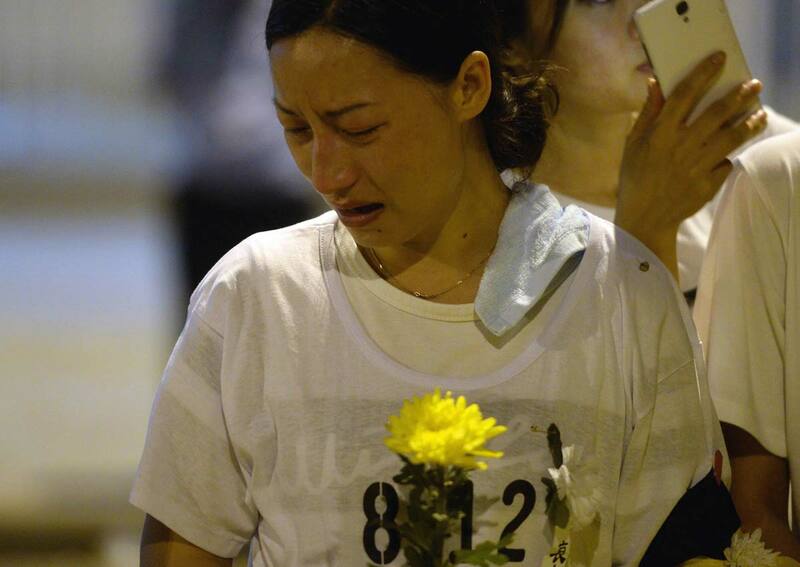 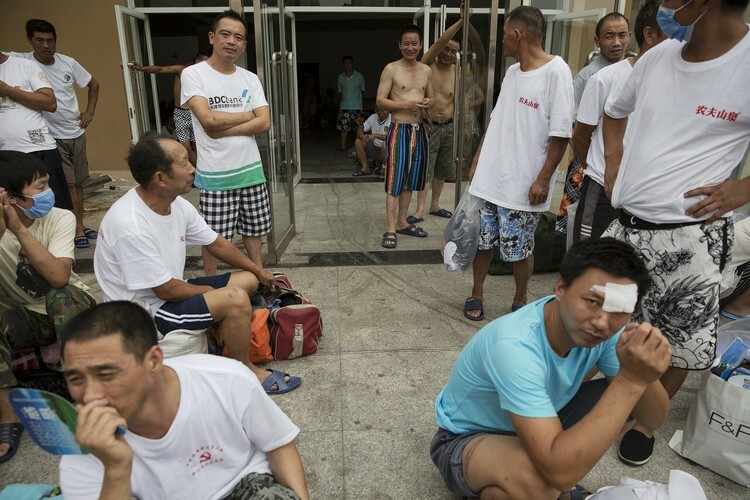 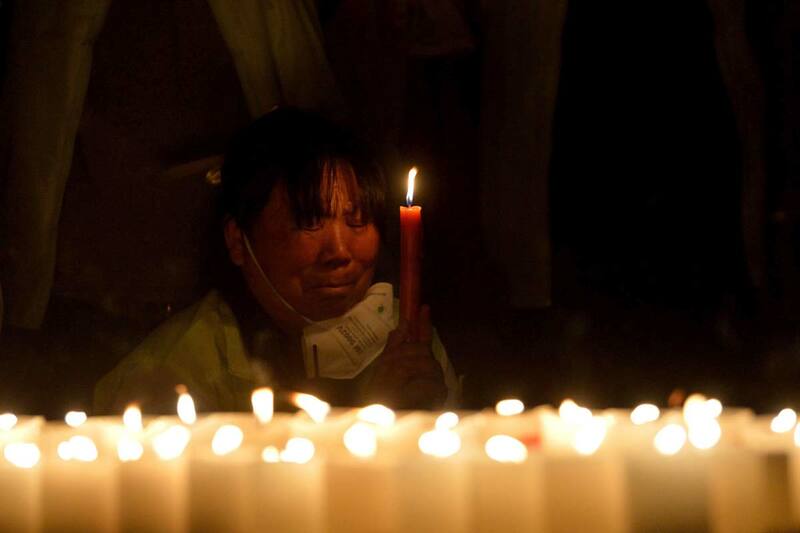 Chinese police have for the first time confirmed deadly sodium cyanide at the site of two huge warehouse blasts that killed 85 people, state media said on Saturday, as a series of new, small explosions were heard and small fires broke out. 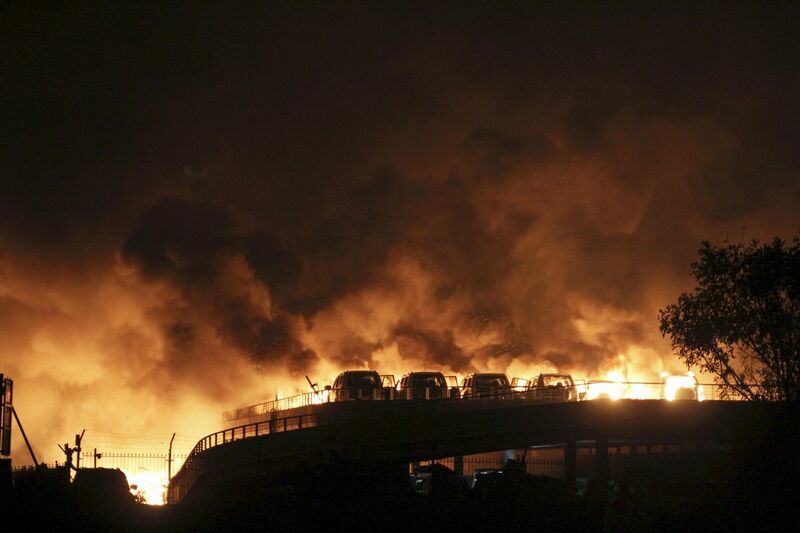 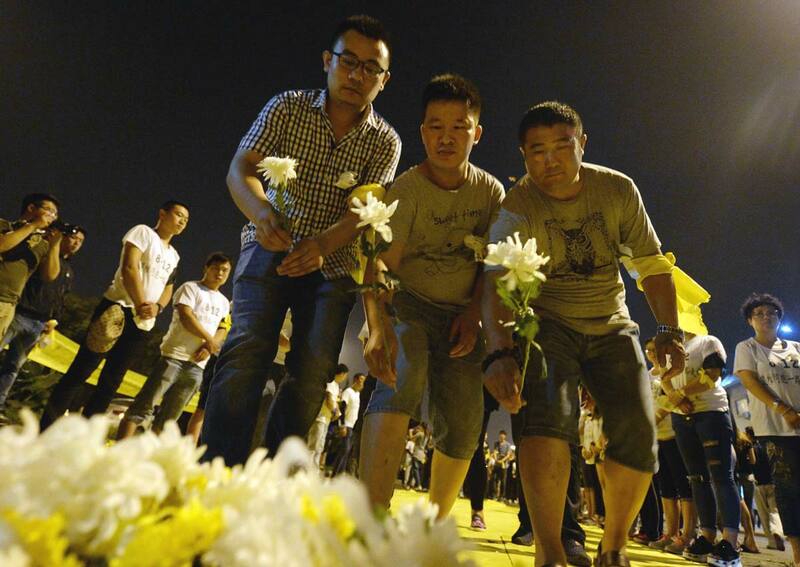 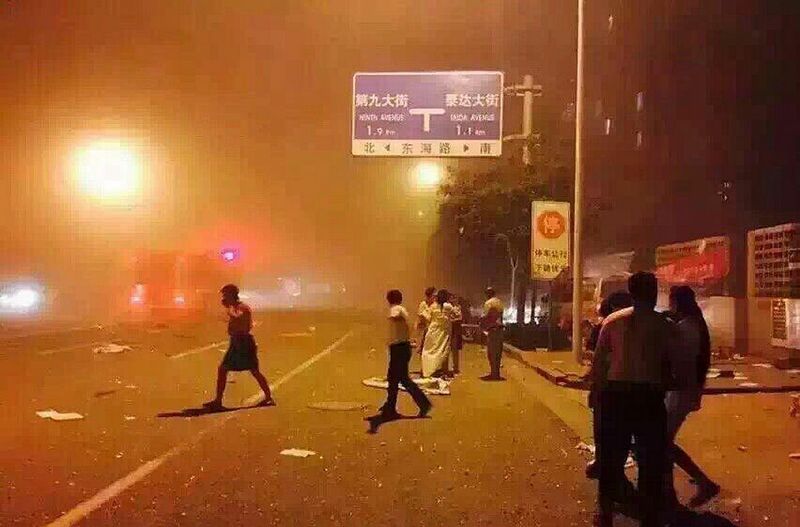 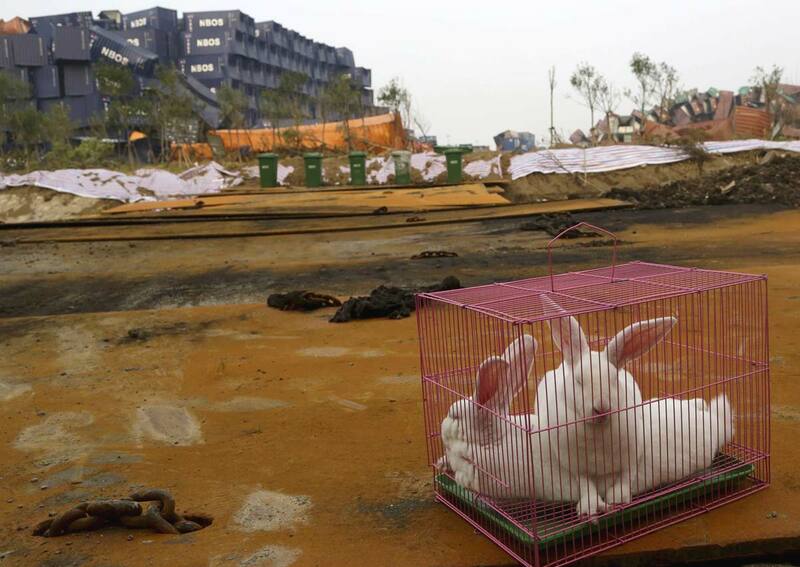 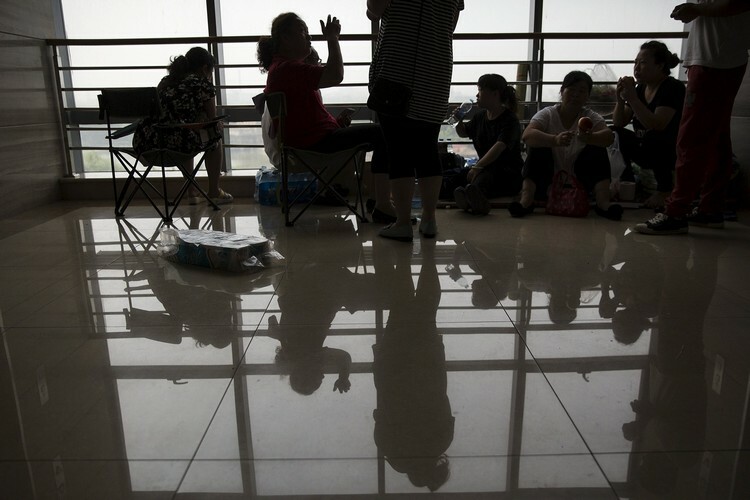 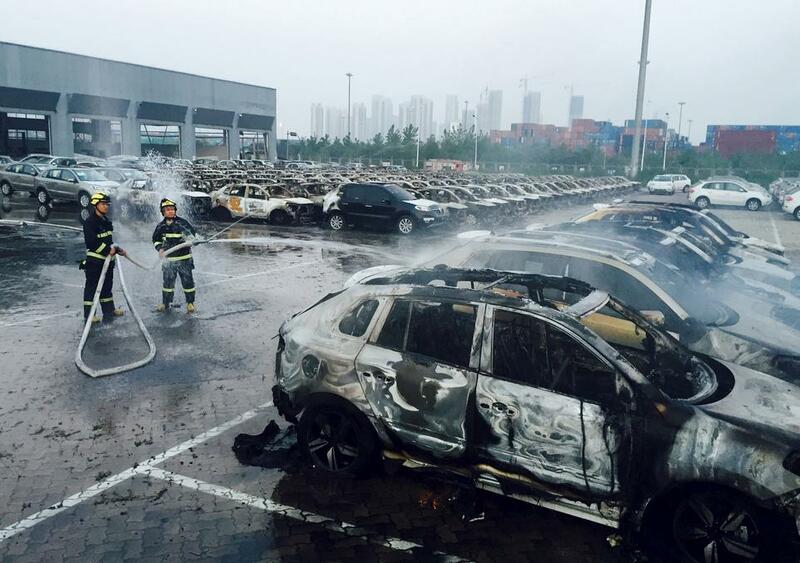 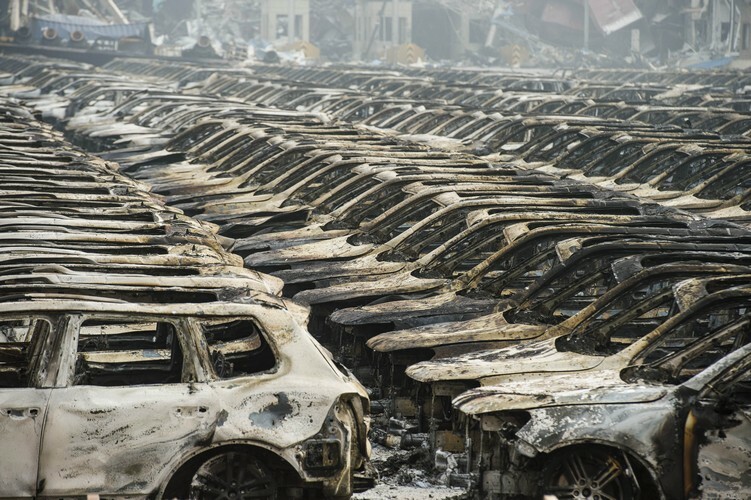 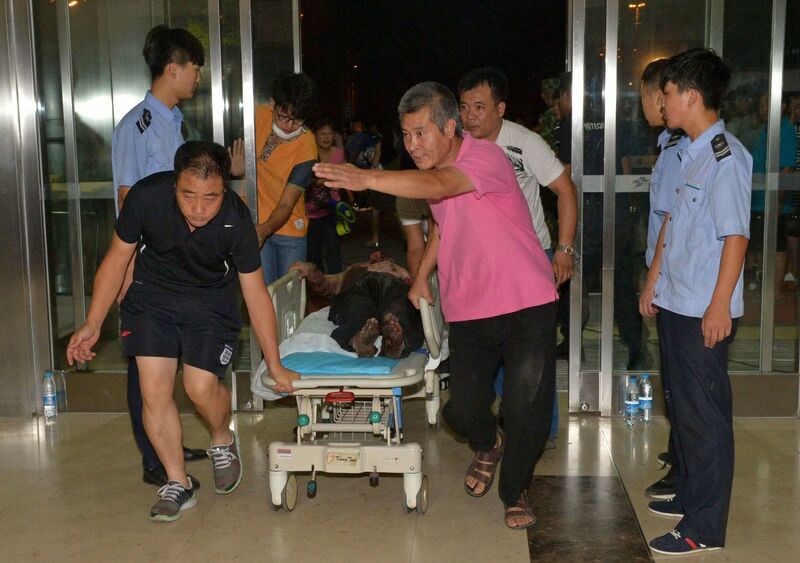 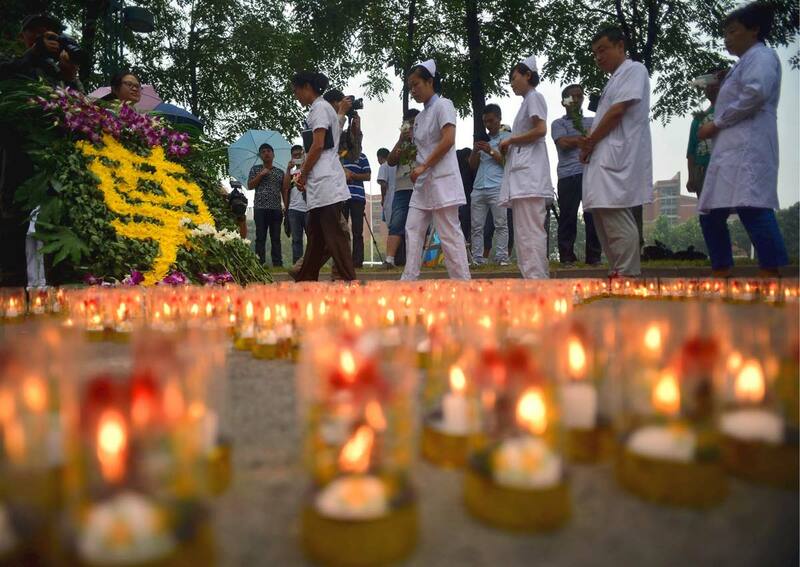 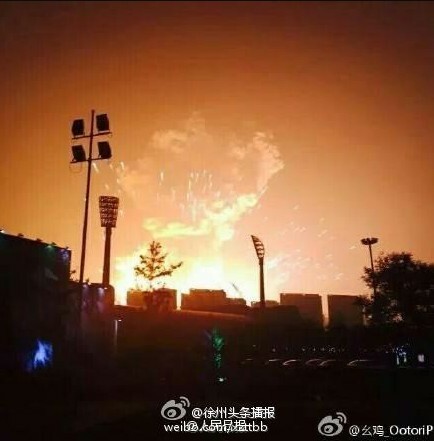 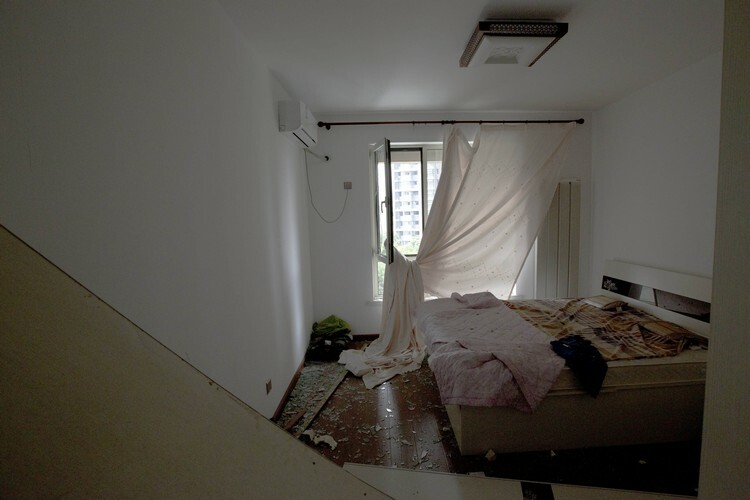 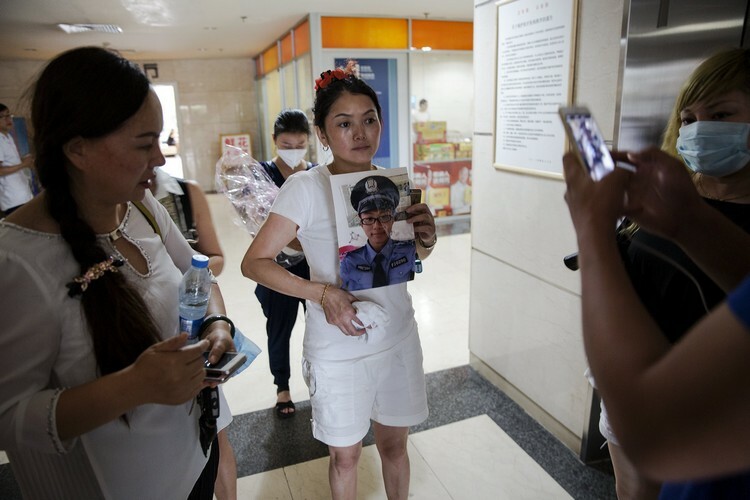 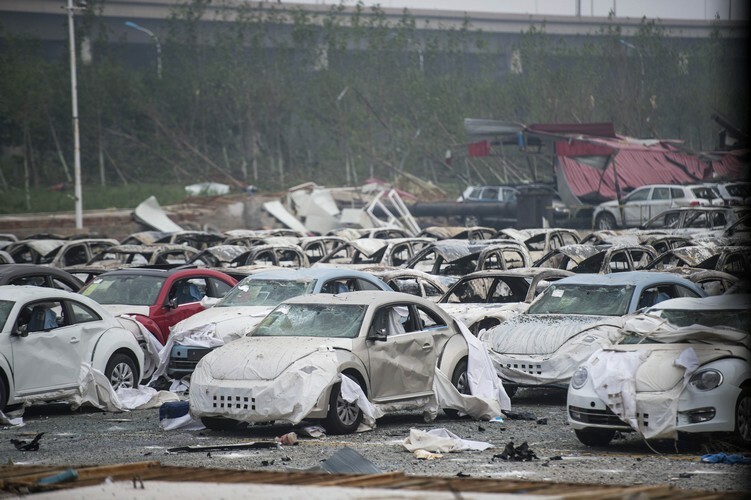 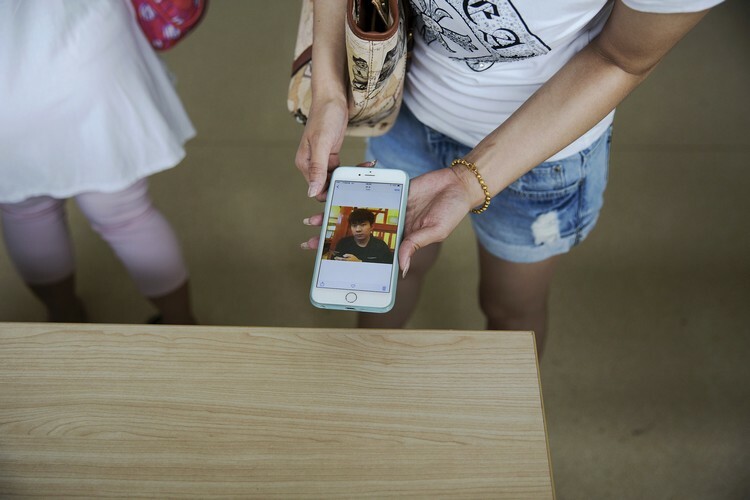 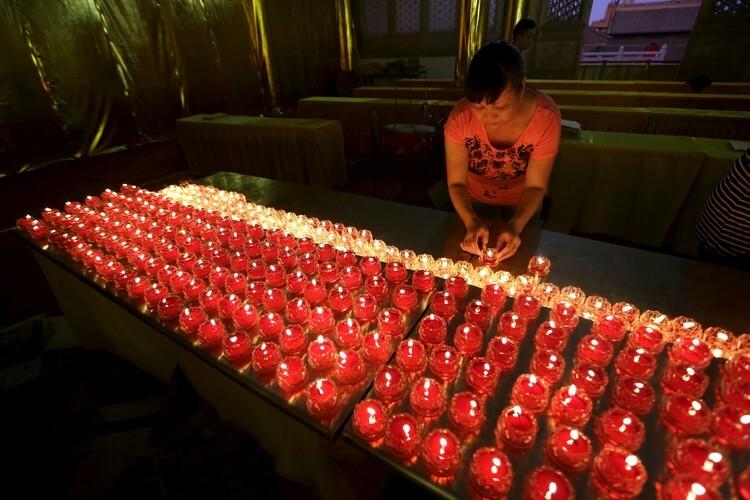 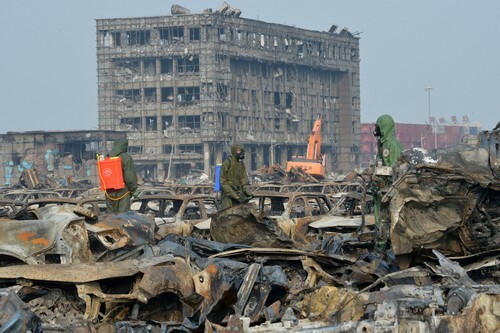 Authorities said on Sunday that an estimated several hundred metric tons of sodium cyanide stored at the scene of Wednesday's killer explosions in Tianjin have not harmed human health or the environment. 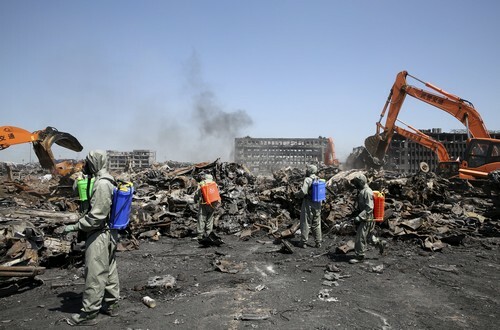 A number of containers, each holding 25 kilograms of the highly toxic inorganic compound, have been found in two areas at the site - many of them still intact, Shi Luze, chief of staff for the Beijing Military Area Command, said at a news conference. 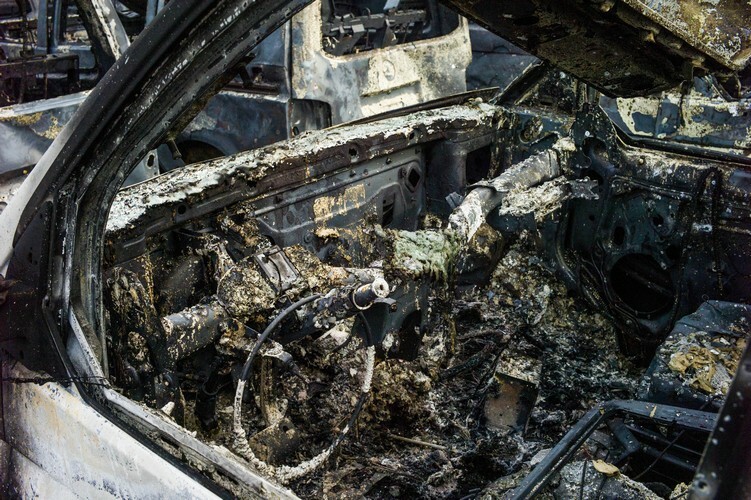 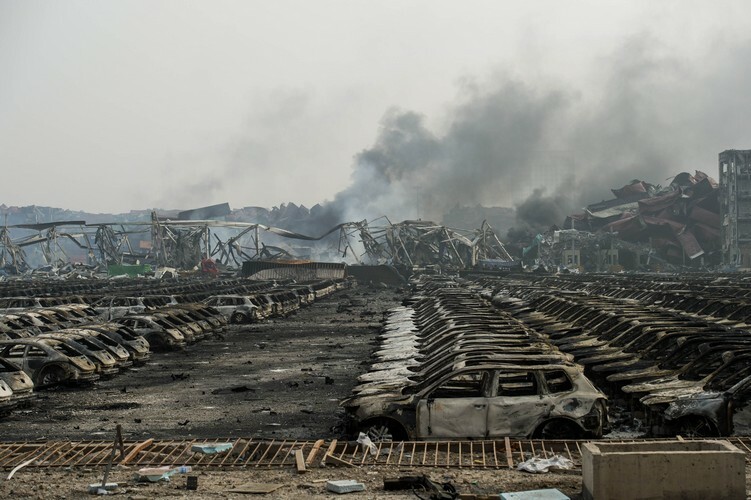 "For those that were broken after the blasts, we used hydrogen peroxide and other solutions to control pollution from them." 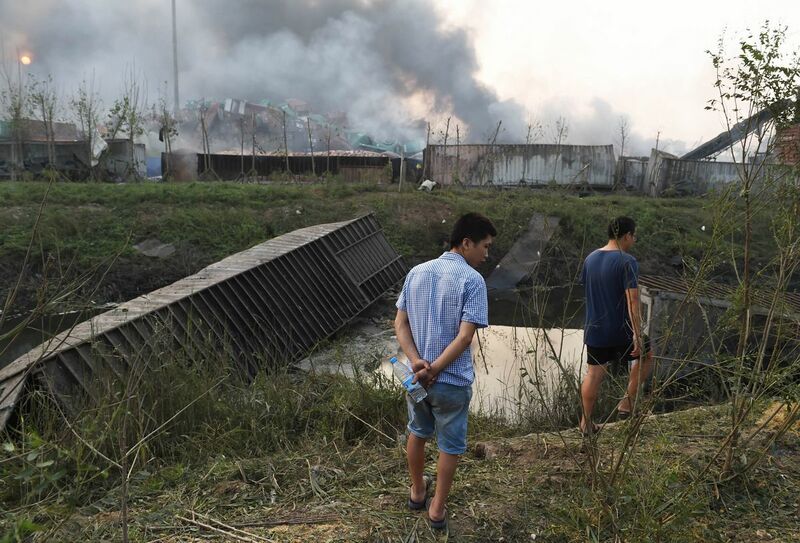 Shi said the authorities will build a wall more than 1 meter high in part of the blast zone to stop the flow of contaminated water. 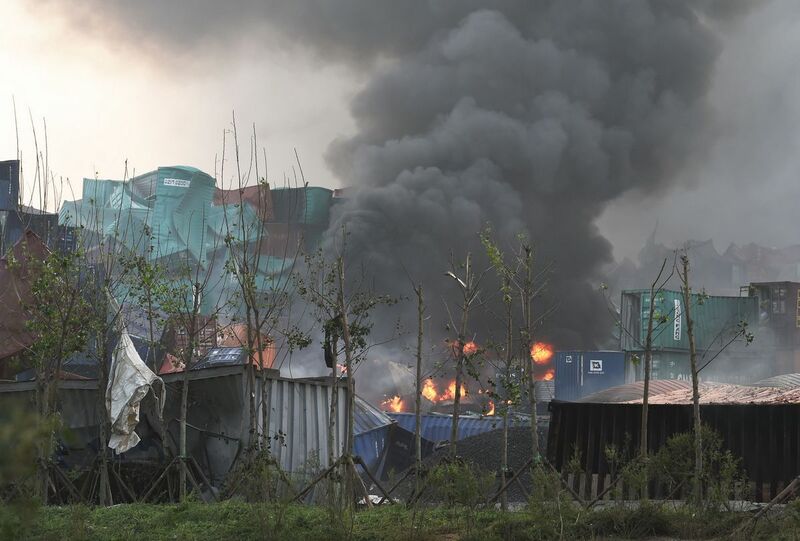 The containers that were not damaged will be collected and taken to the company they belong to, he said, without naming it. 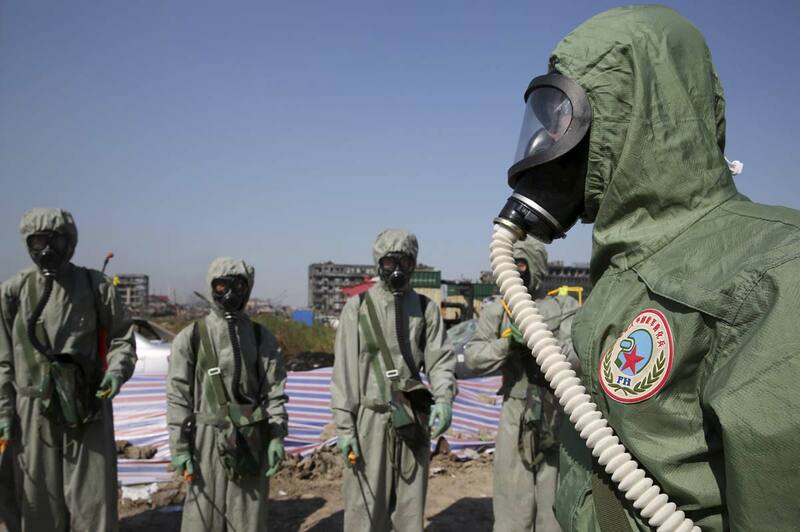 "All of them will be dealt with carefully, using scientific methods." 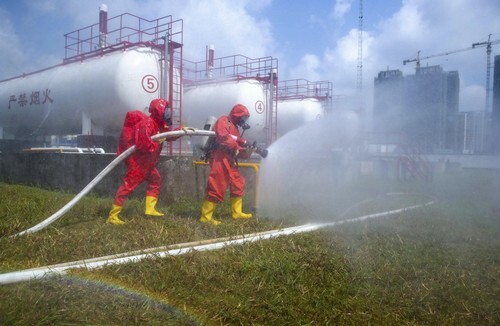 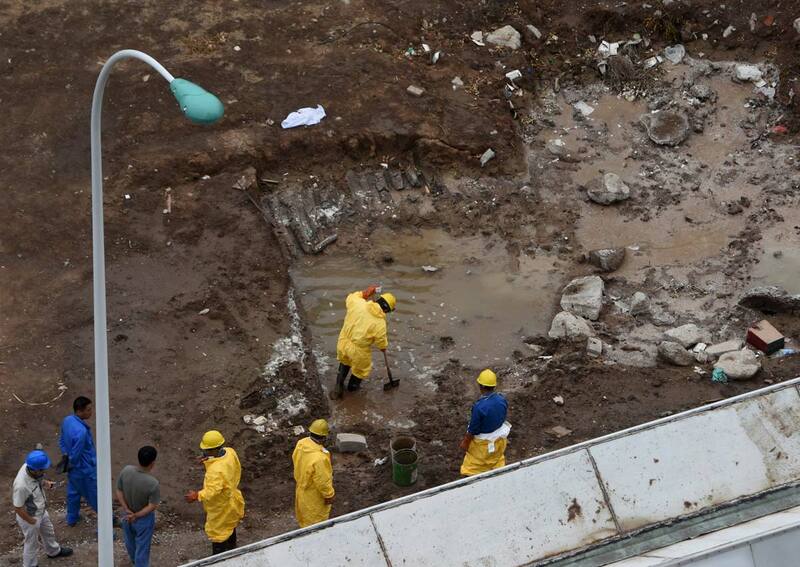 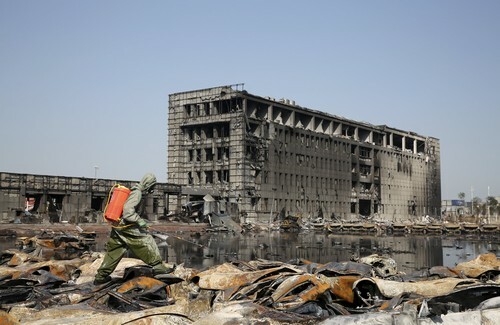 About 3,000 soldiers have searched the blast zone for evidence of harmful pollutants within a radius of 3 kilometers. 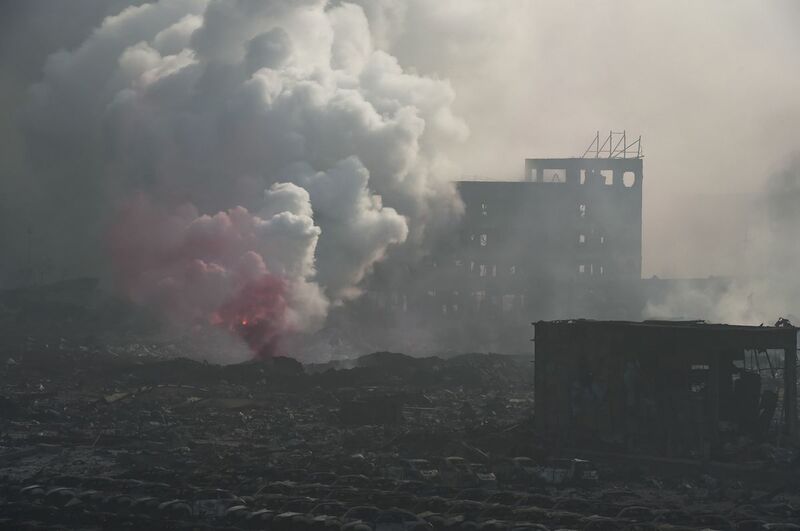 Investigators have been closely monitoring air and water quality at 27 stations after fears arose that the sodium cyanide would contaminate the environment and harm the health of local residents. 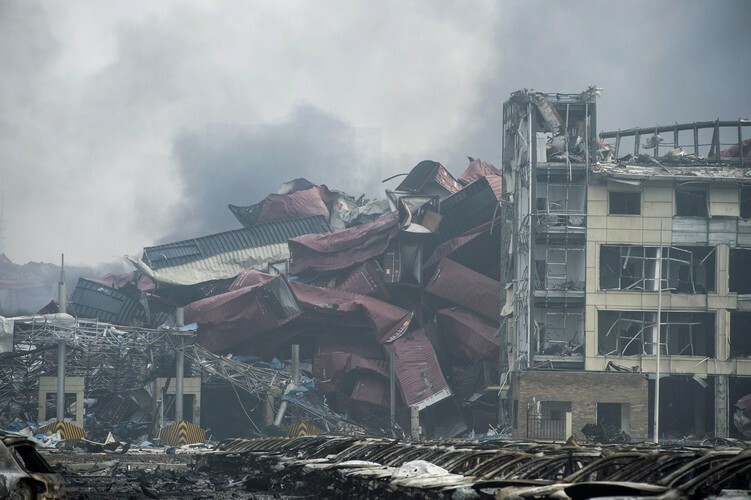 Shi said it would have no harmful effects on human health based on the monitoring data. 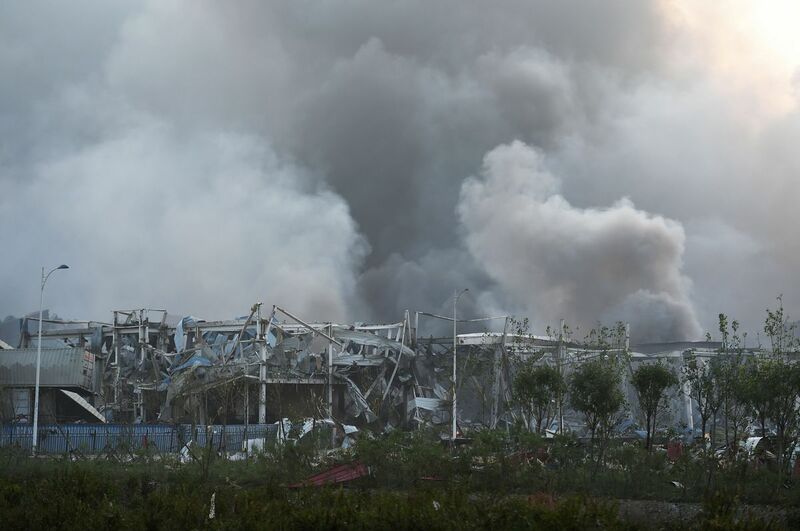 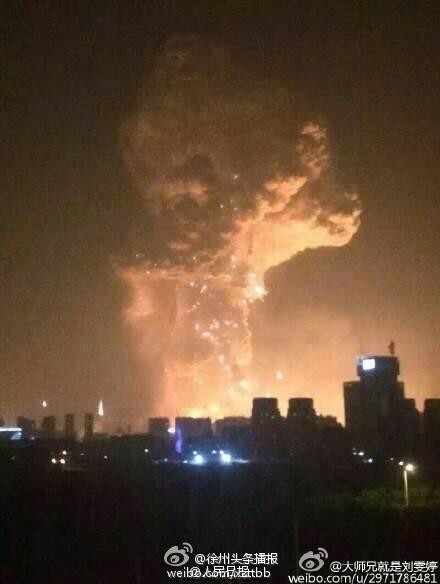 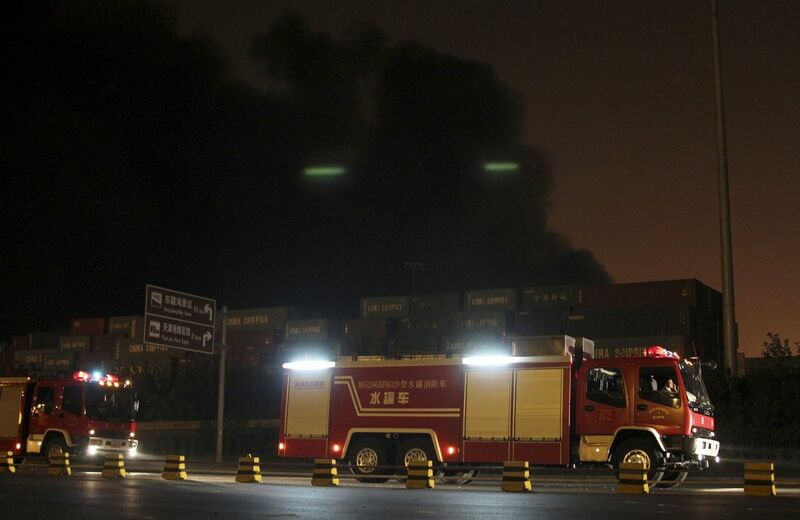 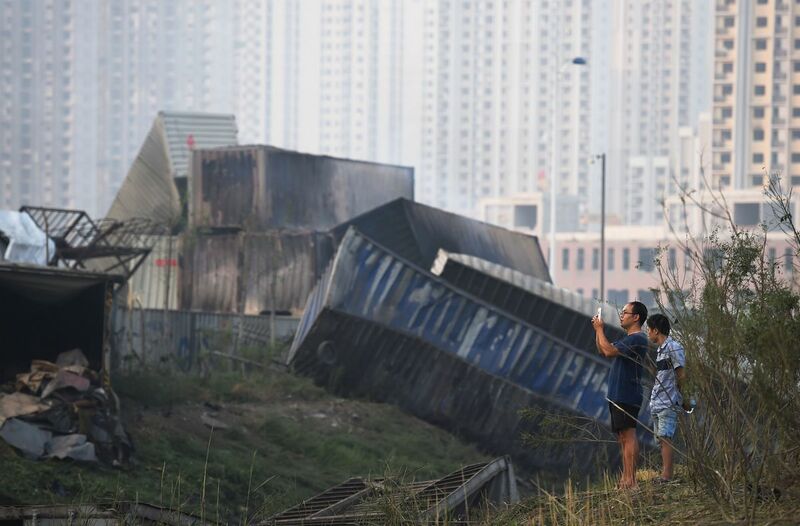 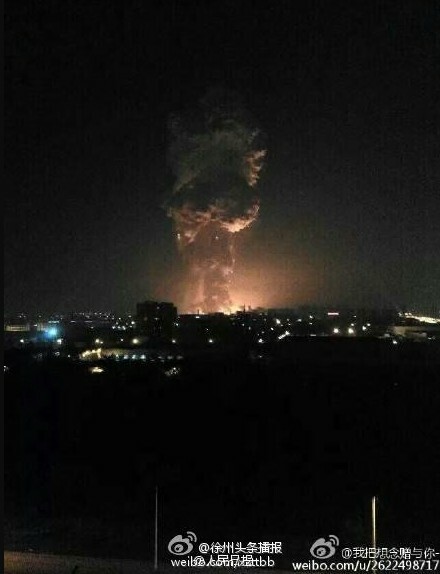 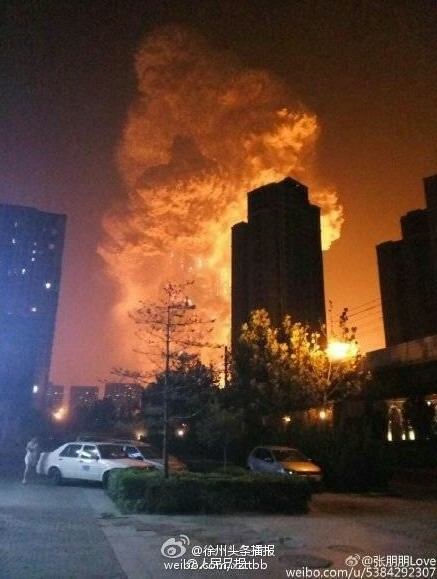 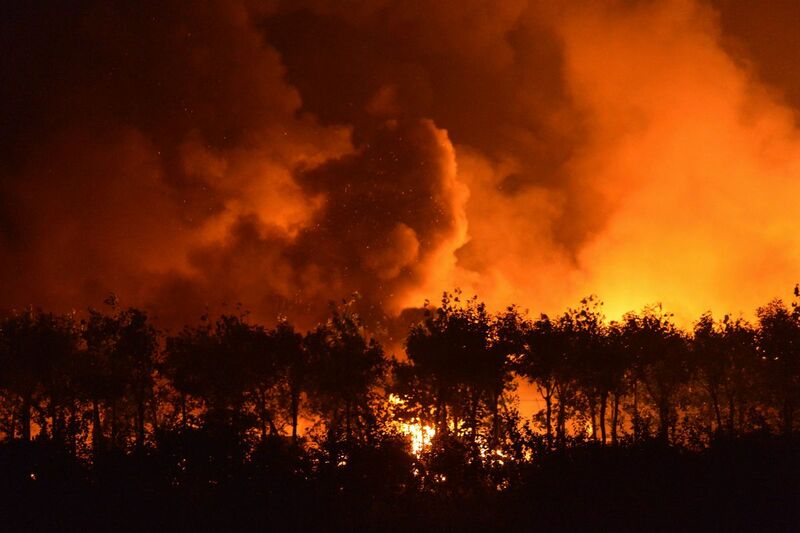 Bao Jingling, chief engineer at the Tianjin Environmental Protection Bureau, said on Sunday that slight pollution was reported in the blast zone on Saturday, while air quality in nearby districts met national standards. 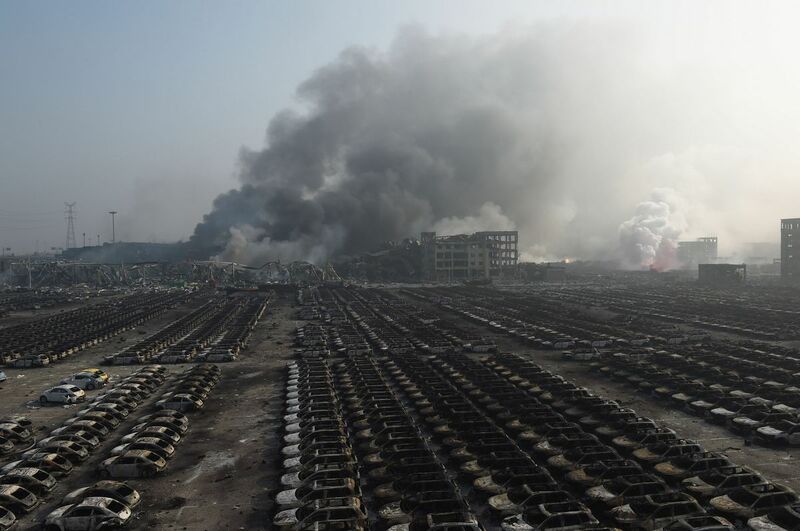 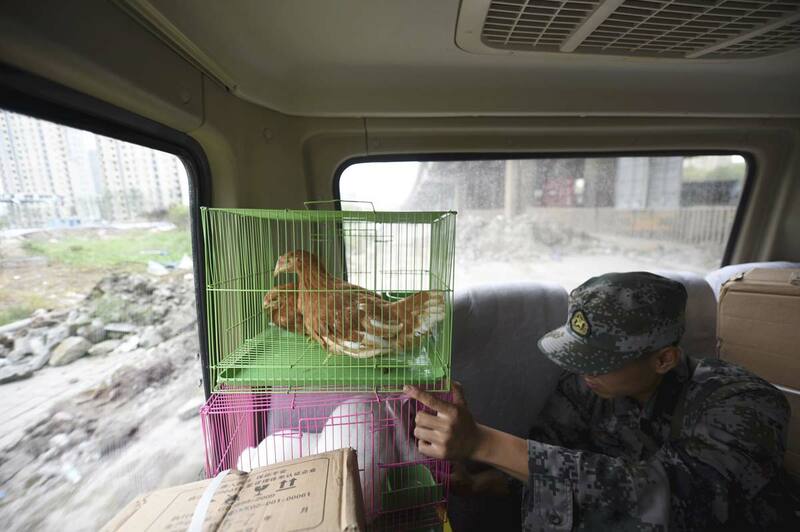 In samples collected from rivers, wastewater and the sea, no harmful pollutants, including sodium cyanide, had been detected on Saturday, Bao said. 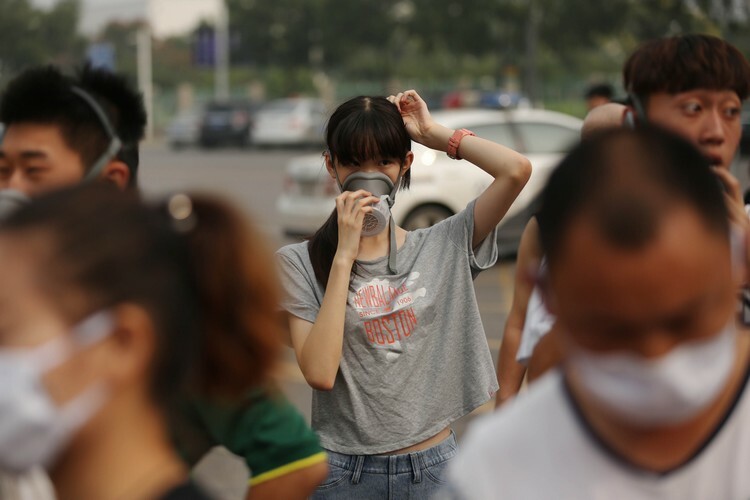 State Oceanic Administration monitoring data on the nearby Bohai Sea showed that no harmful pollutants had been found in the water as of Sunday. 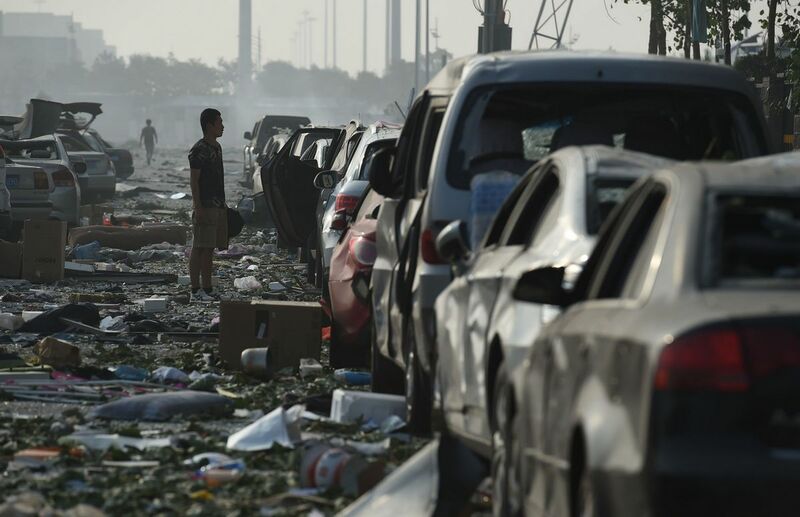 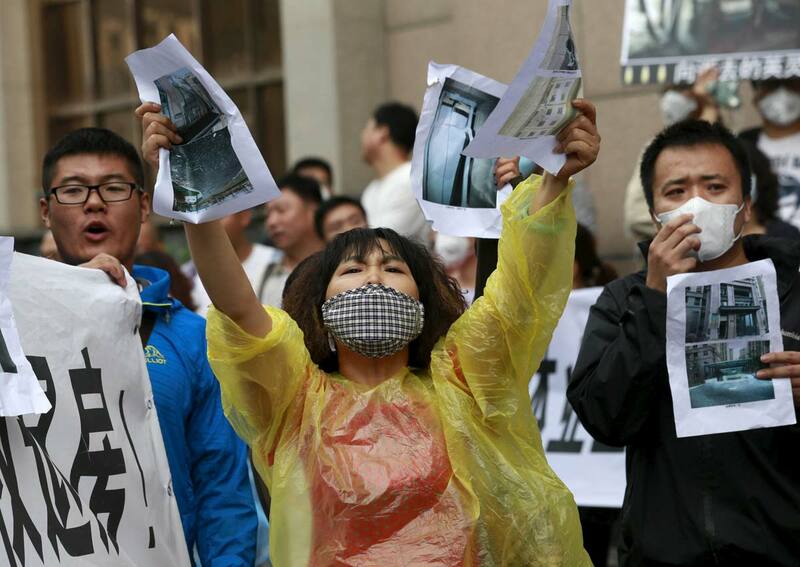 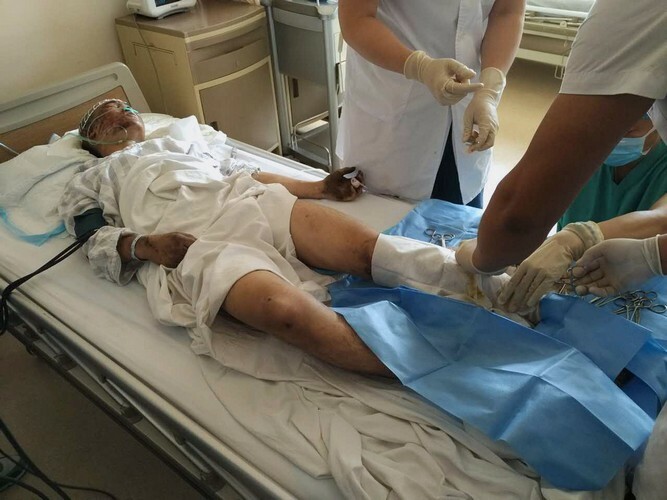 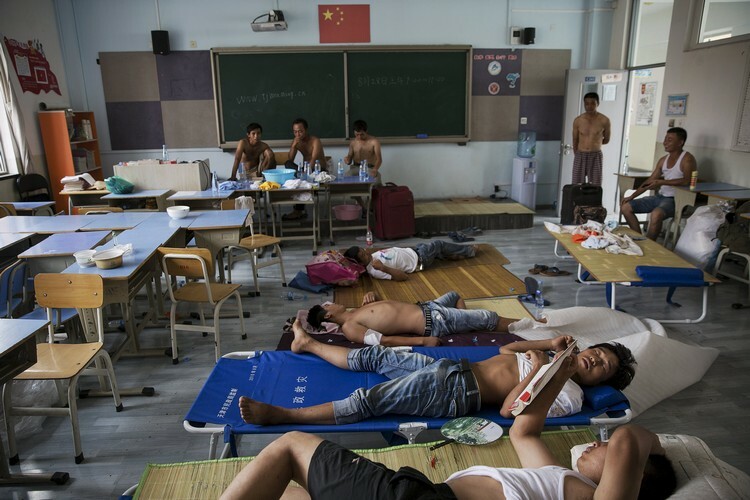 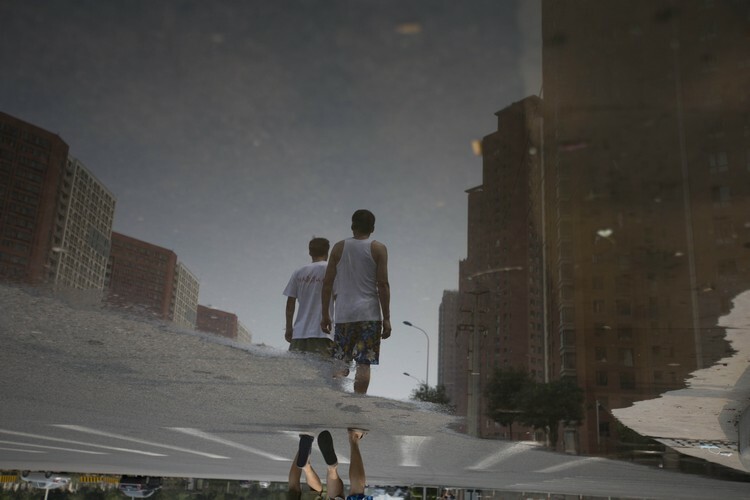 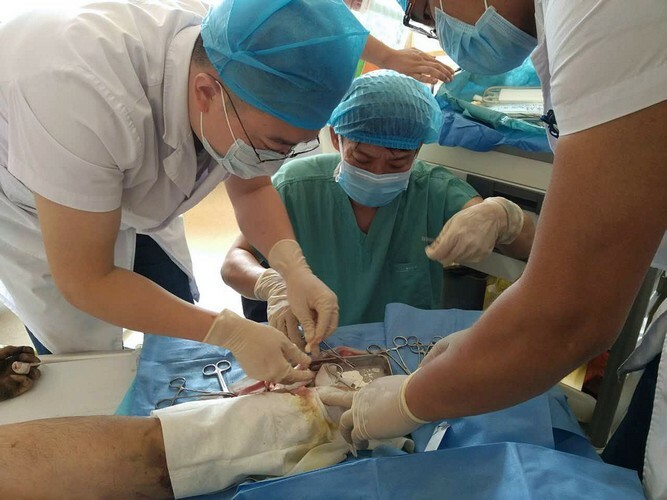 Bao said, "Health would only be affected if people were exposed to dense, harmful pollutants for a long time," adding that this has not been the case in Tianjin. 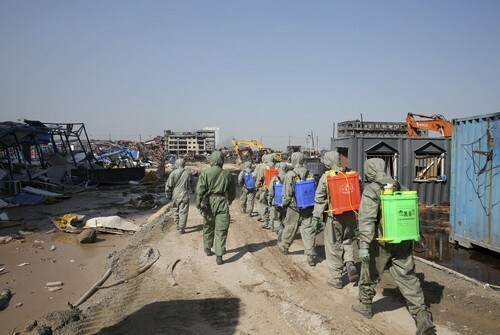 An emergency task force is dealing with contamination from the cyanide compound, making it harmless in water. 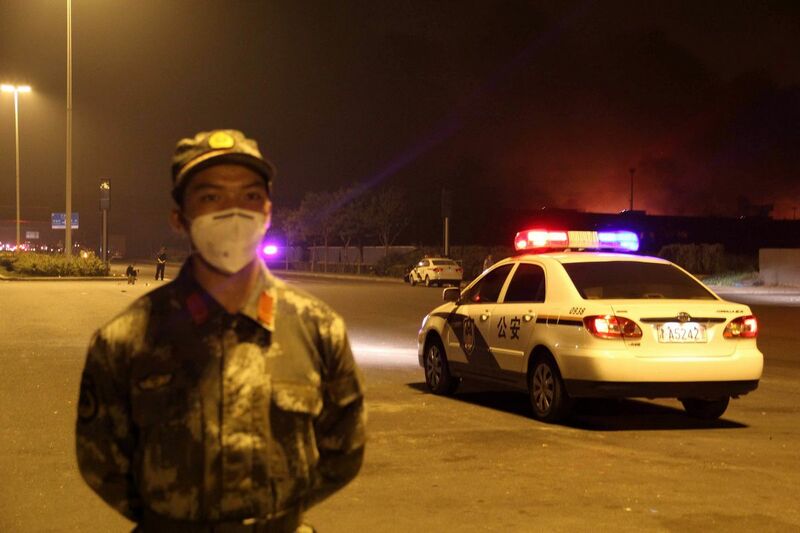 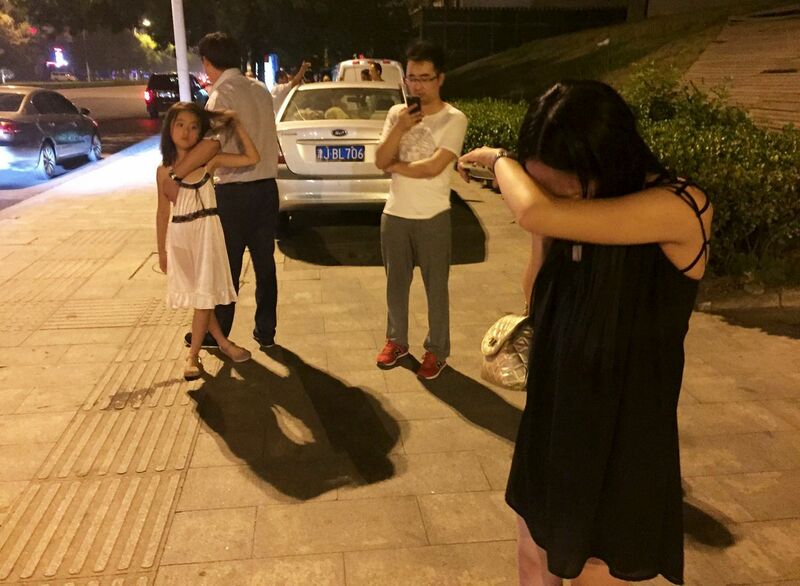 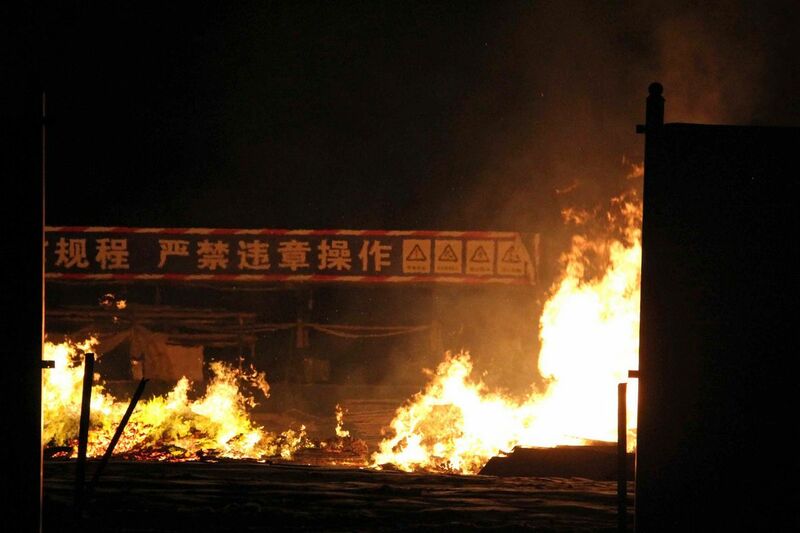 The situation is under control and no more fires have been reported, Bao said. 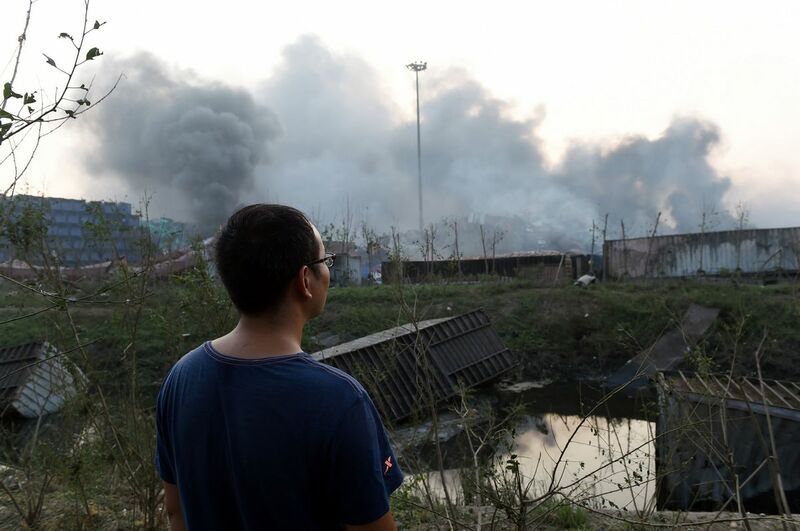 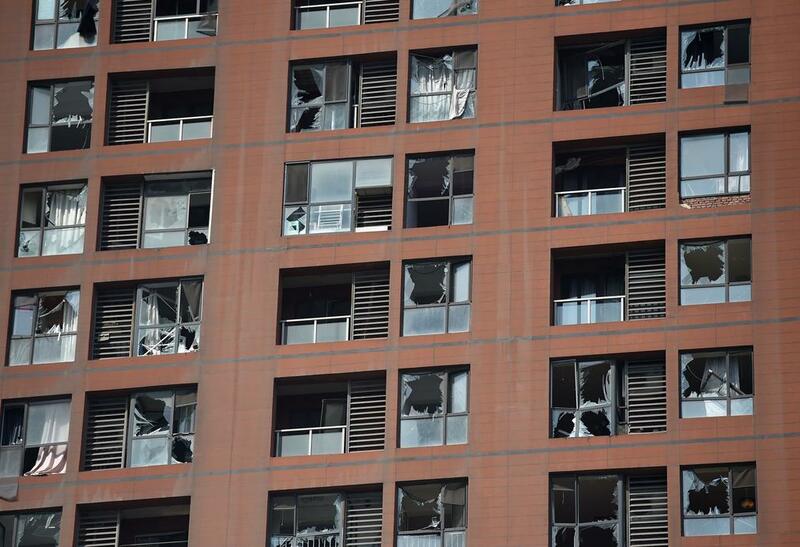 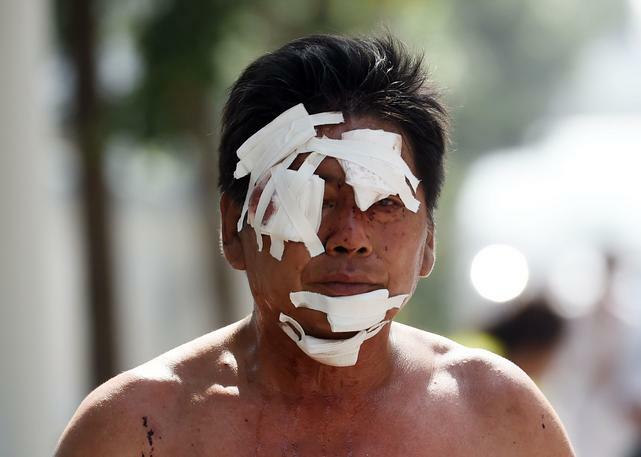 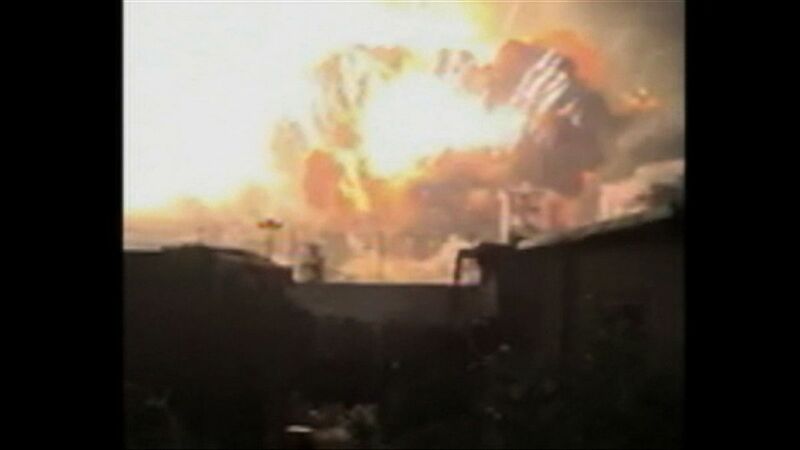 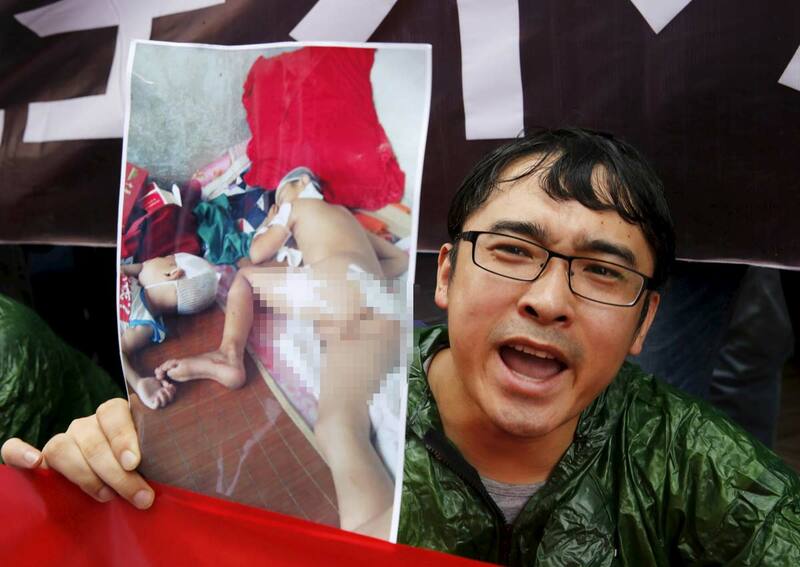 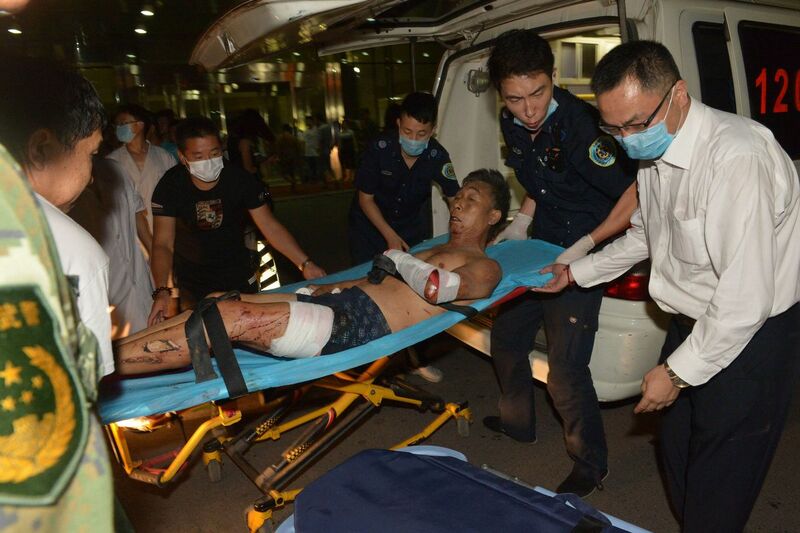 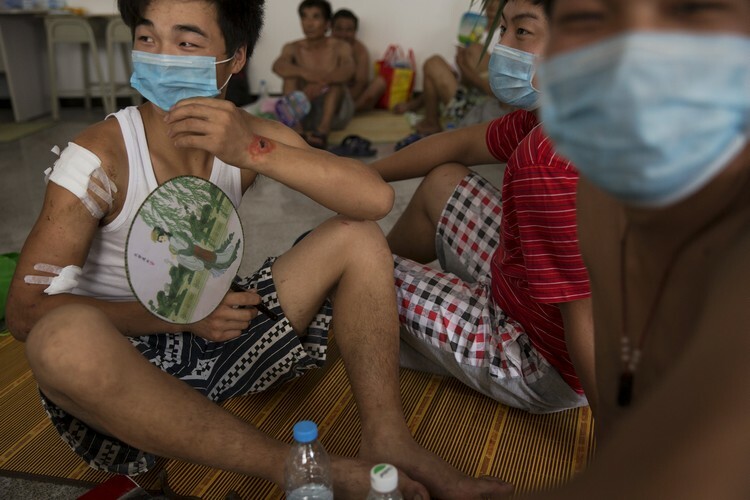 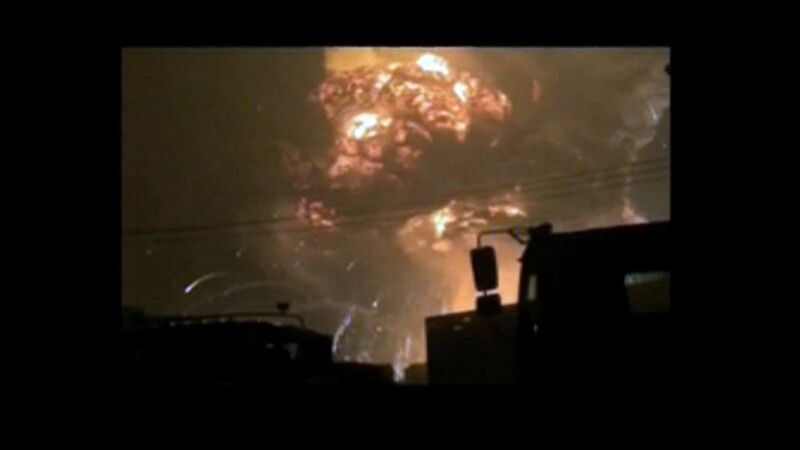 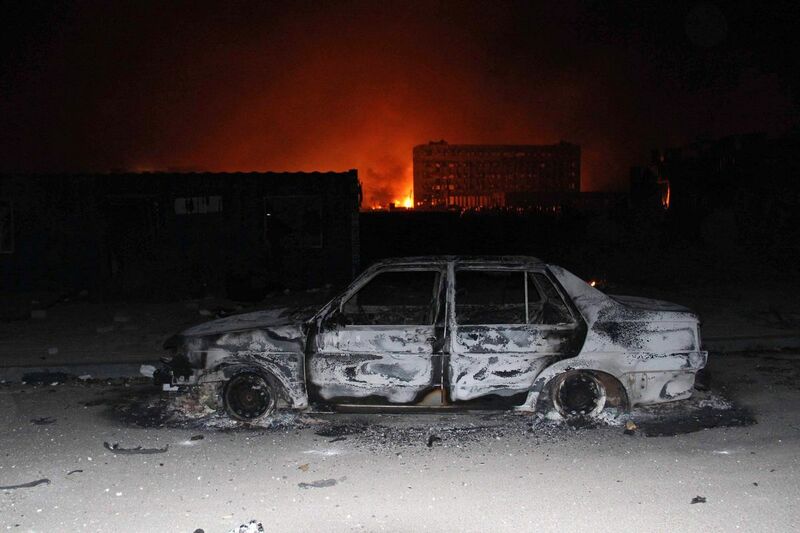 "People do not need to worry about the air and water quality around the blast zone," he said. 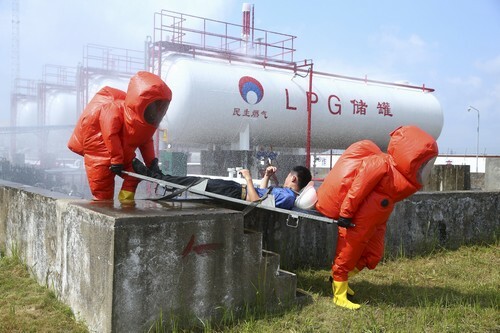 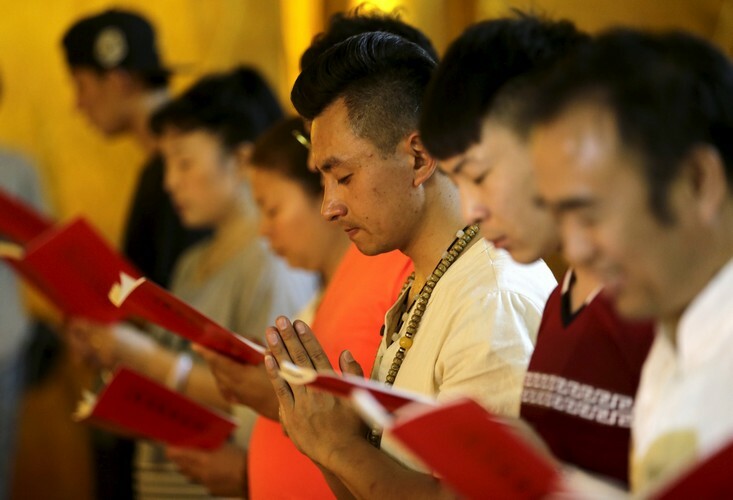 To guarantee there is no pollution and to prevent secondary disasters, authorities have taken strict measures such as blocking all water outlets to the Bohai Sea. 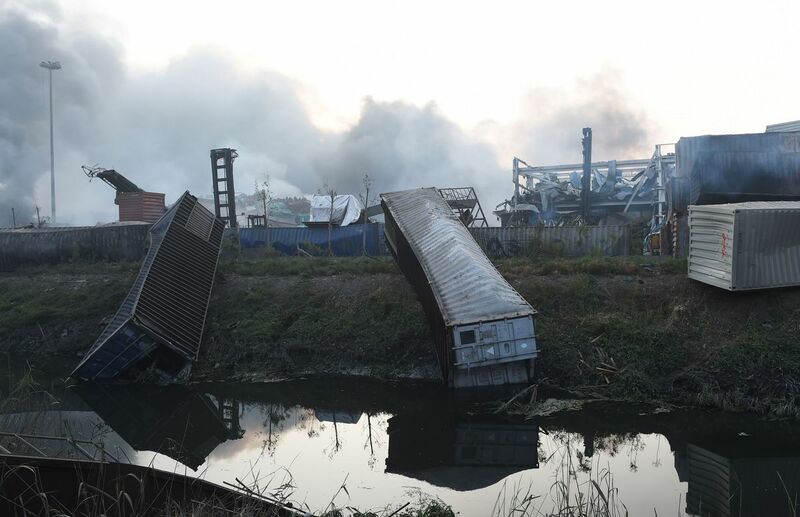 They are also collecting all sewage in ponds and water channels in the zone and taking it to special disposal plants outside the area. 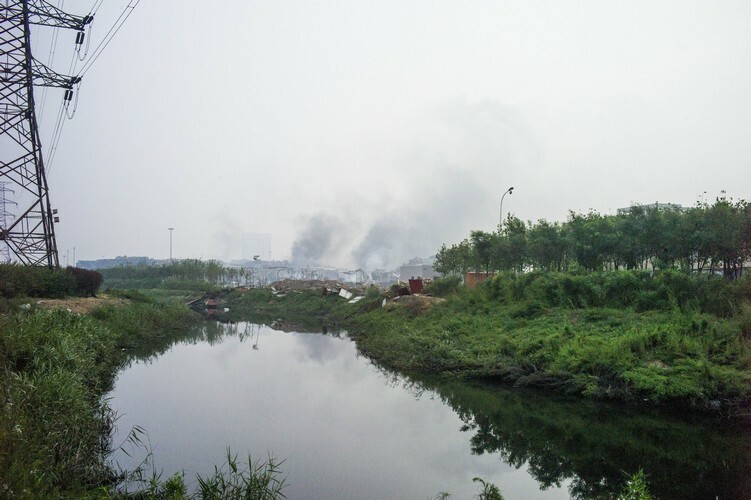 Bao said about 100 tons of polluted sewage had been transferred for further processing and more will be moved to reduce contamination.